1967 – 1971: 2654 Alabama Ave.
1972 – 1977: 2036 Louisiana Ave. Norm lived at home while he attended the University of Minnesota. Norman Ornstein is a long-time observer of Congress and politics. He pens a weekly column for Roll Call called “Congress Inside Out” and is an election eve analyst for CBS News. He served as co-director of the AEI-Brookings Election Reform Project and participates in AEI’s Election Watch series. He also served as a senior counselor to the Continuity of Government Commission, working to ensure that our institutions of government can be maintained in the event of a terrorist attack on Washington; his efforts in this area were recounted in a profile of him in the June 2003 Atlantic Monthly. 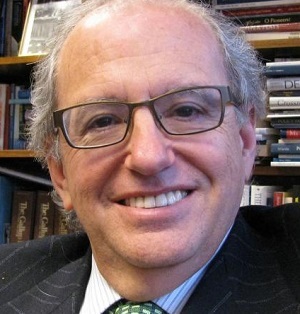 Ornstein led a working group of scholars and practitioners that helped shape the McCain-Feingold Law, which reformed the campaign financing system. His many books include The Broken Branch: How Congress Is Failing America and How to Get It Back on Track, which was co-written with Thomas E. Mann and named one of the best books of 2006 by The Washington Post and dubbed “a classic” by The Economist. His most recent book is the New York Times bestseller, It’s Even Worse Than It Looks: How the American Constitutional System Collided with the New Politics of Extremism, also co-written with Tom Mann. Through a combination of scholarship, hard journalism, and practical down-to-earth understanding of human nature, he shares his insights on the Washington political scene, major elections, and such hot issues as campaign finance reform, economic policy, and healthcare. Ornstein also dabbles in comedy. He began working with Al Franken in 1992 when he served as Comedy Central’s pollster and commentator covering the party conventions and the election for “Indecision ’92.” He has also done comedy with satirist Mark Russell. Ornstein co-directed a multi-year effort called the Transition to Governing Project to create a better climate for governing in the era of the permanent campaign, and is currently co-directing a project on election reform. He is a member of the Board of Directors of the Public Broadcasting Service (PBS), the Campaign Legal Center, and the Board of Trustees of the US Capitol Historical Society; he was also elected as a Fellow of the American Academy of Arts and Sciences in 2004. Information for the books listed above is from Amazon.com and may not reflect accurate publication years. Ornstein has also published many papers and provided Forwards to several other books.